Our founder, Trish Georges, was presented with the Frist Humanitarian of the Year Award by Sunrise Hospital and Children's Hospital in May of 2013. This is the most prestigious award one could receive in the Las Vegas Valley and we're VERY proud to be the owners of one of them! Todd Sklamberg, CEO of Sunrise Hospital, presenting Trish with the Humanitarian of the Year Award! Trish Georges won Fox 5's Shining Star Award for serving the community! 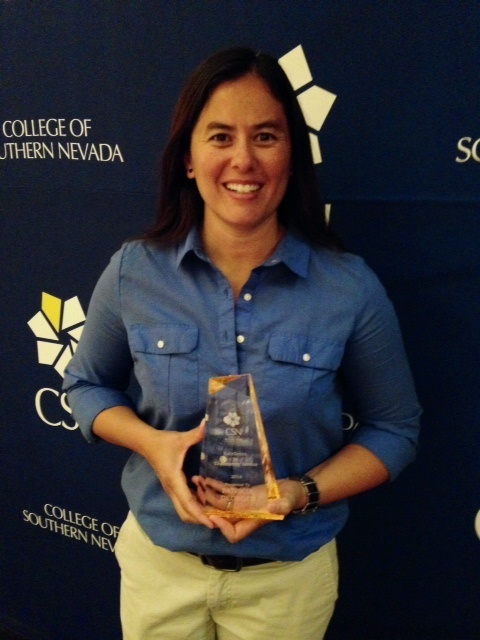 Trish Georges was awarded the "Excellence in Community Service Award" by the College of Southern Nevada in August 2014! These are some great publications that have given us honorable mention, click on the title link to view the full article!